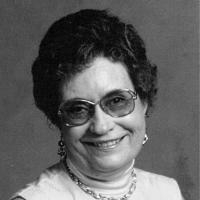 Doris Helen Van Gorder Davis passed away peacefully on Monday, January 12, 2105, at Grace Healthcare, in Glenwood Springs, Colorado. She was born August 20, 1920, in Denver, Colorado, to H. Raymond and Gladys (Arnold) Van Gorder. She graduated from Paonia High School, and studied music at Mesa College for one year. She was a talented baritone horn player, often performing solos throughout her school years. Doris married her true love, H. Martin Davis, in Paonia, on May 29, 1949. The family lived in Hotchkiss, Lake City, and Craig, CO, before settling in the Grand Junction area in 1955. Doris loved her family, friends, dogs, and wind chimes. Her favorite hobby was hunting for arrowheads and pretty rocks. She became an accomplished genealogist, working at that for 30 years. She really enjoyed using the computer to organize family information. Doris did volunteer work as a genealogy librarian for several years. She was a long-time member of the Church of Jesus Christ of Latter-Day Saints, and of Eastern Star, in her youth. Doris was a wonderful woman who taught us all unconditional love, by her example. She rose above physical handicaps, to raise and care for her family. Doris is survived by her son, Craig, of Colorado; step-son, Gary (Marianne) of Mesa, AZ; daughter-in-law, Joanna, of New Castle, Colorado; nine grandchildren, 11 great-grandchildren, and numerous extended family members. She was preceded in death by her husband, H. Martin, and son, Scott. A memorial service will be held at the Church of Jesus Christ of Latter-Day Saints, at 409 29th. St., Glenwood Springs, Colorado, on Saturday, January 17, 2015, at 3:00 p.m.